News is breaking this morning that brewing giant Foster’s has invoked the provisions of Trade Practices Act to withhold supplies of some of its top-selling beers to retailers Coles and Woolworths to thwart plans to heavily discount its brands. 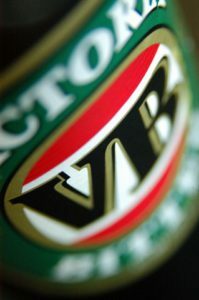 ABC News is reporting that it withheld supplies of top-selling VB and other brands in February and early March after learning Coles and Woolworths were planning to sell the beer for as little as $28 a carton. A Foster’s representative was not immediately available for comment this morning and few details are available beyond mainstream news reports and also here. While Foster’s can be congratulated for the bravery of its stance in taking on the nation’s largest retailers to prevent them from using its beer as a loss leader, a move that does have benefits for the entire market, the move is primarily aimed at protecting its own brand capital. Quite simply, it doesn’t want the market to get used to seeing its beer sold at $28 a carton. The issue throws the very vexed issue of what is competition into sharp relief. While the supermarket-owned bottleshops seem to be trying to cast themselves as the good guys, with one bottleshop putting out a sign saying, “We’re out of stock because Foster’s, the supplier of VB, says we are selling it too cheap,” the moves by Woolworths and Coles are cynical marketing stunts that have no benefit for the wider beer market. Attractive in the short term for consumers, such loss leaders generally offer false economies. As Senator Nick Xenophon told Sky News, “the concern is that Coles and Woolworths are using loss leaders with a view of destroying small business, the corner stores, the independent grocery chains”. The ABC reports University of New South Wales Associate Professor Frank Zumbo as saying, “when you’ve got players like Coles and Woolworths, if they engage in below-cost pricing, that distorts the market,” he said. While the media is reporting that, unlike small dairy farmers, the big brewers can actually push back, the same is not true of small brewers. 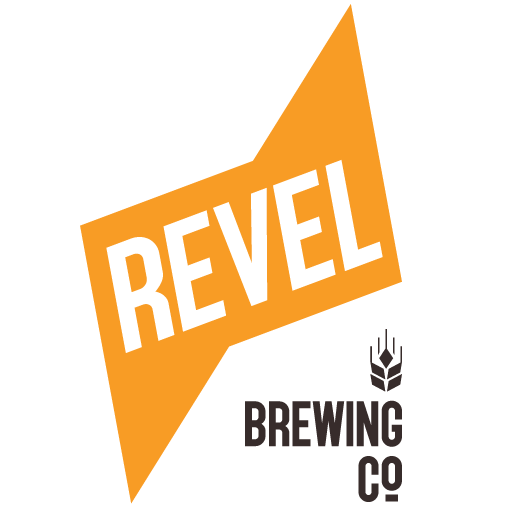 The move increases the pressure on small independent retailers who cannot subsidise the largest brands and widens the gulf between the mainstream beers and craft beers. Many small brewers already report they often have their wholesale price dictated to them based on what price the major retailers want to sell their beer at rather than on the cost of producing it, an unsustainable situation for small brewers. Foster’s seems to be drawing a line in the sand now, but their move is more about protecting their brand than the market. 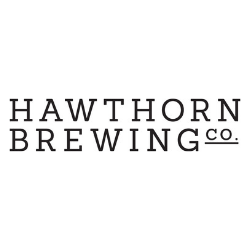 The large brewers’ businesses are built upon ‘partnerships’ that see volume discounts handed out to those retailers who move their product in the greatest volume, a move that benefits the largest retailers and further entrenches their market positions. Further, the prime shelf positions in bottleshops are generally given to the brewers who offer the best “marketing support’’, which can involve large cash payments, and a position in the pages of the glossy catalogues that land in our letter boxes each week are generally paid for by the brewers. Beers aren’t in there because they’re good beers that sell well, they’re in there because brewers that can afford to have paid. These practices are ‘competitive’ in one sense, but combine to stifle competition in another by excluding, often superior products from small operators, from the shelves. One of the factors that has allowed the liquor barns to flourish and smother smaller competition is the preferential pricing that their size commands. The large brewers seem to support enthusiastically these pay-for-play arrangements, as long as they they benefit from them. Of course, the large brewers aren’t above a little anti-competitive behaviour themselves. As we noted recently, tap contracts are enthusiastically chased by brewers such as Fosters, who routinely ask prospective pub licencees whether they would be open to specifically excluding certain competitor brands in return for a higher rebate or promotional allowance. While Fosters and Lion Nathan mat argue that they are competing for taps with each other, it can not be said that the market is competitive in a broader sense when small operators and emerging brewers are actively shut out of the market under these pay-for-play arrangements. The best outcome for the beer market from Fosters’ stance is that it sharpens the focus on competition across the entire beer market, a genie that Fosters may not really want let out of the bottle. The consumers drive this ridiculous stalemate. If consumers were not so intent to save $2 on a carton of beer (less than 20c per stubbie) than dans and 1st choice wouldn’t have the market cornered the way they do. The same goes for wine something around 52% of dans profit is driven by their ‘own brand wines’ they import in bulk, label it in 3 different ways (yes, the same wine) and then sell it to three different consumer demographics who all think they are smarter than the market and drinking incredible value for money. In reality, they have no idea and are normally drinking pish. Until producers and consumers start to think about what they are doing supporting them, nothing is going to change. Both woolies and coles have a huge influence on labor through the unions i.e. regulation will cost jobs and and a huge influence on the liberals purse strings i.e. regulation will cost you funding. I repeat; Nothing is going to change unless it is consumer and producer driven. Don’t shop at these outlets and when people do highlight that yes, VB is $28 this week (and unsustainable) but it has been at $48 for the past three months and the independent down the road has had it for $42 the whole time, where you get service, parking and someone who cares if you come back. Small producers, these guys are not your ticket to wealth and distribution, they are the stone around your neck. There is no relationship here, you are being milked dry. They couldn’t care less how hard you work at making the perfect beer… can’t pay your way – Goodbye.